The German design fair, which runs from January 18 to 24, boasts hundreds of high-end exhibitors, including E15, Living Divani and Interlübke. Meanwhile, the offsite circuit, Passagen, will attract design-lovers to shops and galleries around town. Here are our best bets. Sebastian Herkner is the darling of IMM. The Frankfurt-based designer – who is creating the fair’s official showstopper with his Das Haus installation – will also be debuting new products for a number of brands, such as Classicon, Dedon and Keramik. Also among them is Ames, where he will explore his softer side, with nubbly carpets and plaid throws. 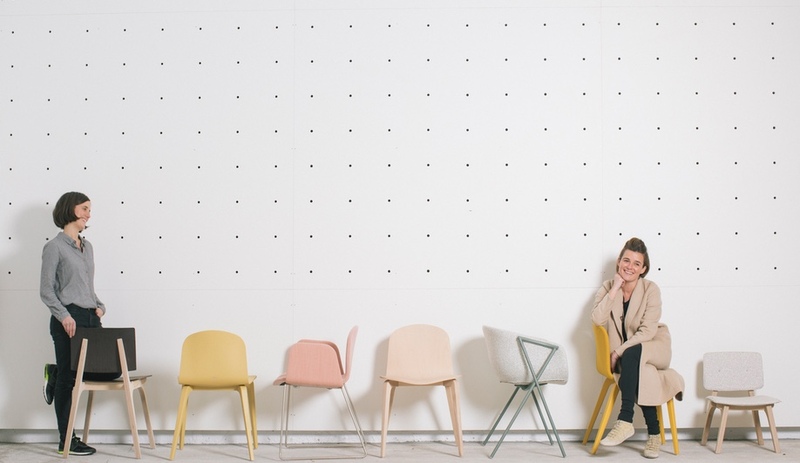 Led by the third-generation of a family – the sisters Nora and Nadia Arratibel – this fun and lively Spanish brand will show of a number of vibrant new chairs, including Bai (by Ander Lazaso) and Mikado (by Nadia Arratibel). 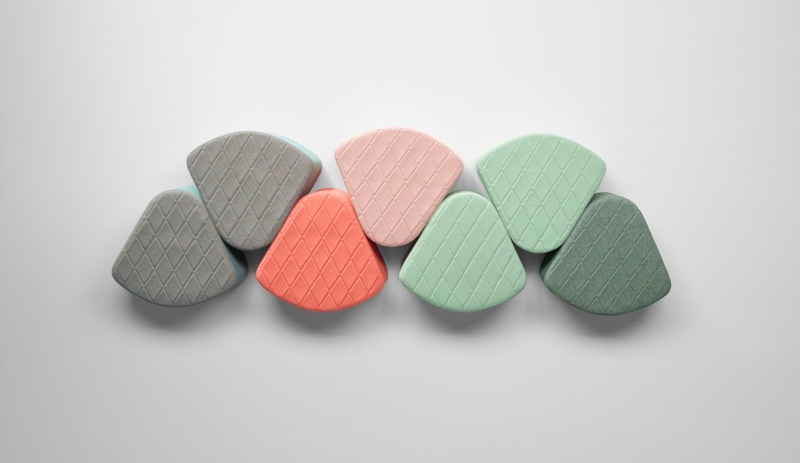 The colourful collection also includes the Aia poufs (top of page). While most Italian brands save their big debuts for Milan, many do soft launch new products and variations of recent designs at IMM. 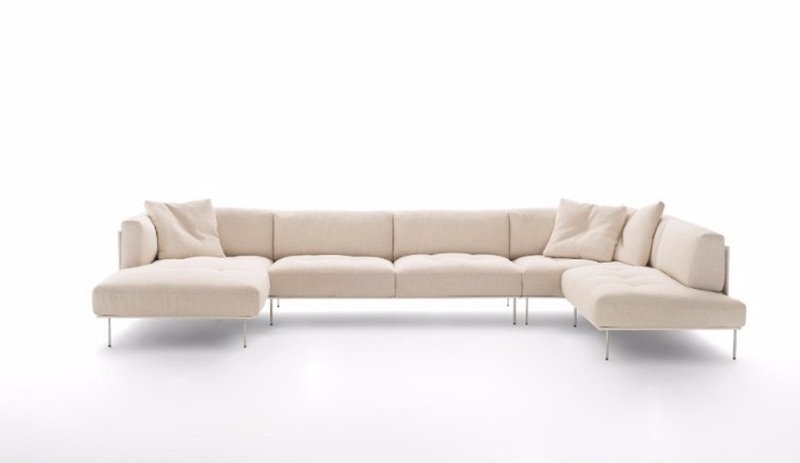 The Italian manufacturer Living Divani will display a new, modular version of this elegant sofa by Piero Lissoni. It can come in two-tone and two-material combinations of leather and fabric. 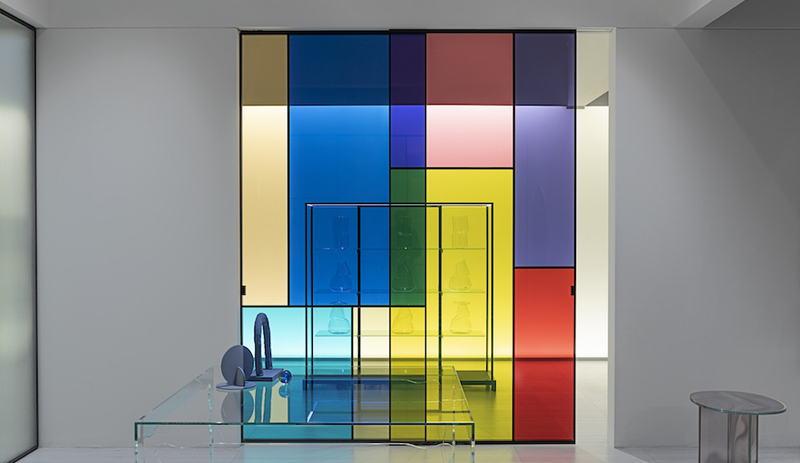 The German brand, always an IMM must-see, continues its collaboration with the British designer. Their austere, detail-oriented collection includes the solid wood sideboard Drayton (shown) and a matching coffee table called Leighton. As part of the offsite happenings, the German magazine A&W yearly fetes a renowned personality as Designer of the Year. 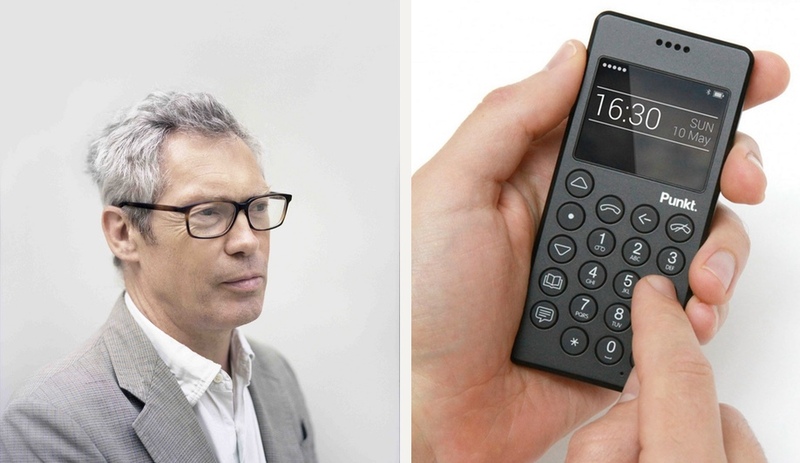 This time around it’s Jasper Morrison, the British creator of some of the most deceptively simple furnishings out there, as well as the new MP 01 phone for Punkt. 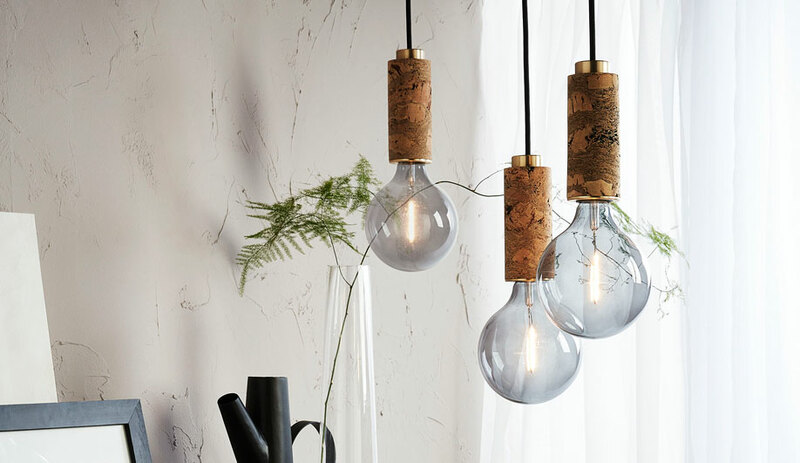 – which we named one of our favourite product designs of 2015. An exhibition gathering Morrison’s best pieces will be staged at Kölnischer Kunstverein, Hahnenstraße 6. And the designer will also be passing the baton, nominationg Swiss designer Michel Charlot for the mentor award. 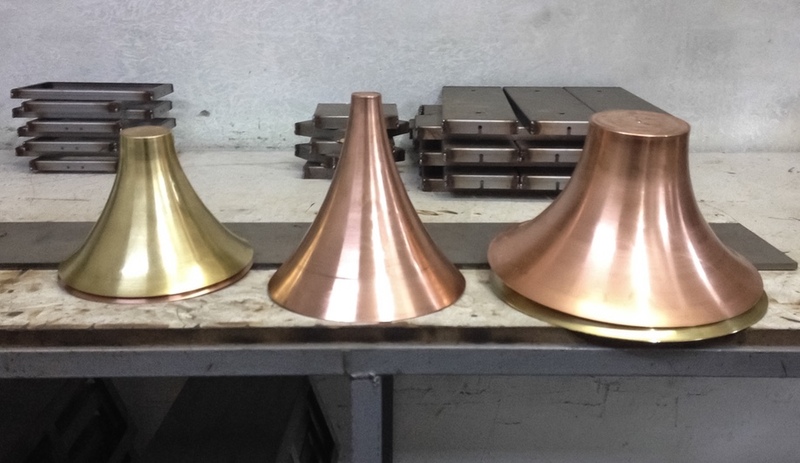 Want to catch up with the next generation of German designers? This group show at Die Wohngemeinschaft Bar (Richard-Wagner-Str. 39) brings together a group of hot young designers from Hamburg, Munich and Cologne. 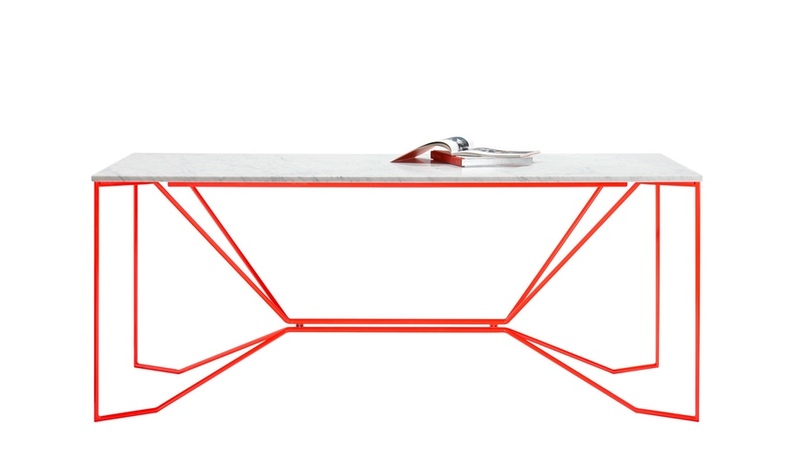 Victor Foxtrott will show off his red-framed, marble-topped table. 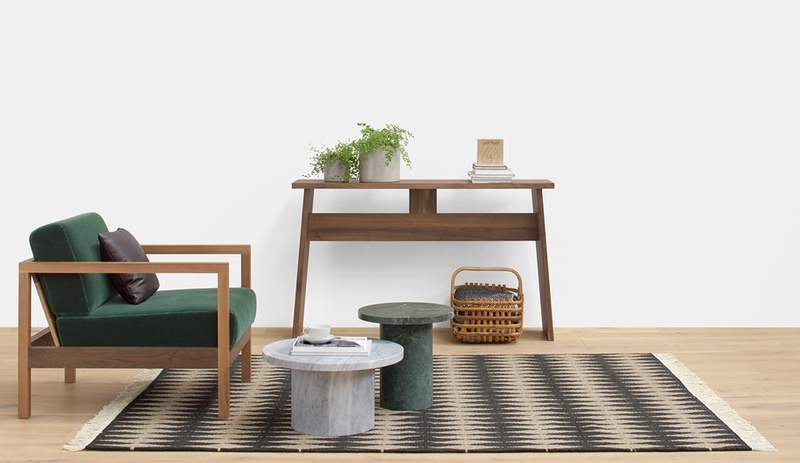 After IMM Cologne, Desgin Post boasts the biggest array of international brand names, including Arco, Moroso, Montis and Kvadrat. 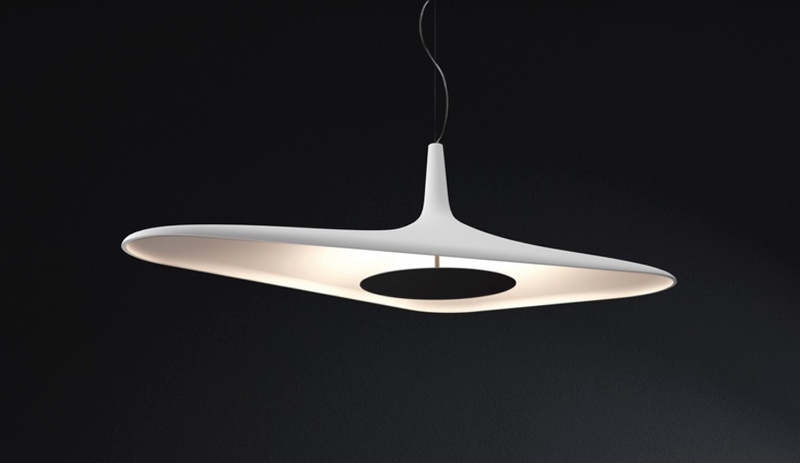 It’s at this warehouse-like showroom desitnation that Italian lighting manufacturer Luceplan will also show its newest offerings, including the Soleil Noir by Odile Decq. For its part, the Dutch furniture brand Arco will celebrate a special milestone at its Design Post showroom. 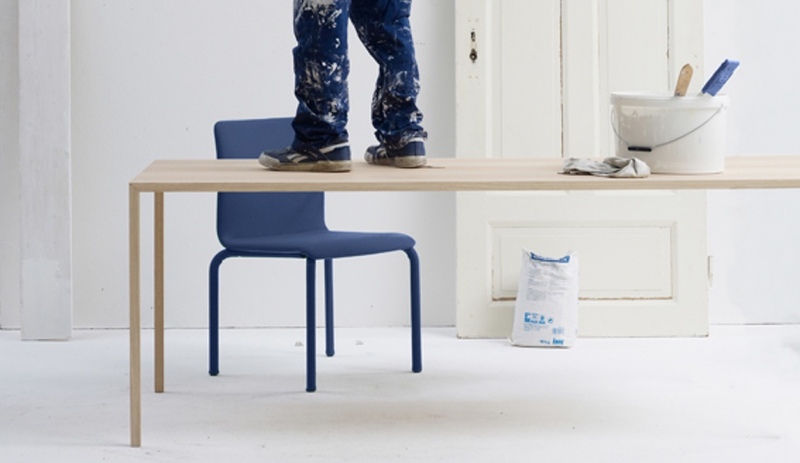 Bertjan Pot’s iconic Slim table for the company turns 10 this year. At his showroom at Venloer Str. 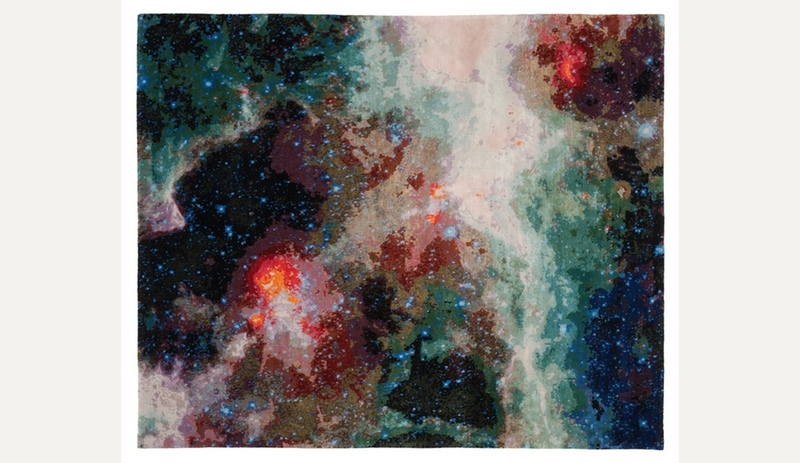 16, famed rug designer Jan Kath will show off a series of carpets inspired by the cosmos. His Spacecrafted series will be complemented by new pieces in his Erased Heritage collection. Most exciting, in the showroom’s catacombs, a new line called Artwork and Angels will make its sure-to-be-stunning debut. Plus, the party on the 19th boasts a DJ and drinks. If you can make it to only one offsite destination, the hip Ehrenfeld district has the most dynamic programming. 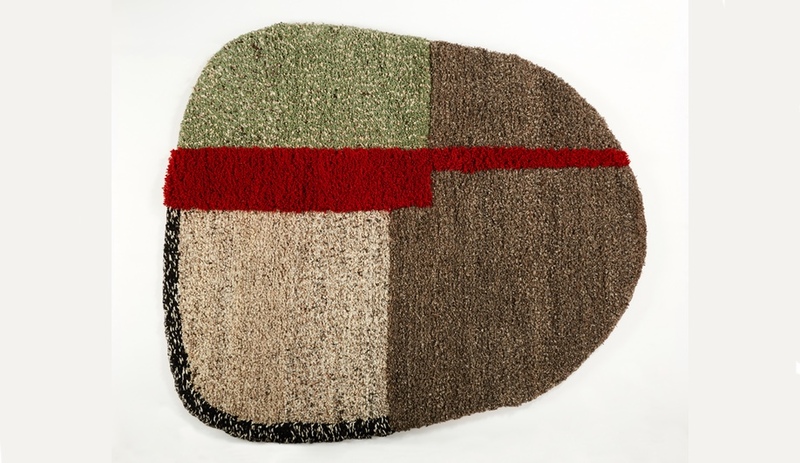 One of the neighbourhood’s biggest attractions will no doubt be the Istanbul’dan group show at Körnerstr. 101, Bunker k101. 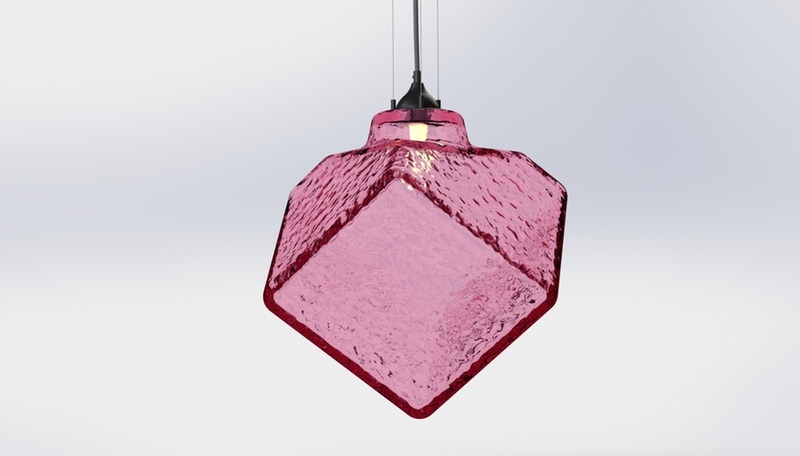 It features six up-and-coming designers, including Dorothee Mainka, who will show off her Trumpets trio of light fixtures.